I am a huge bowling fan! In college my roommate Stacey and I made our own bowling team and joined a league that bowled every Wednesday night for 2 years. You would think I would of gotten semi decent at bowling, but sadly, the more I play the worse I get! haha I still love to bowl and love to go any time I get the chance! 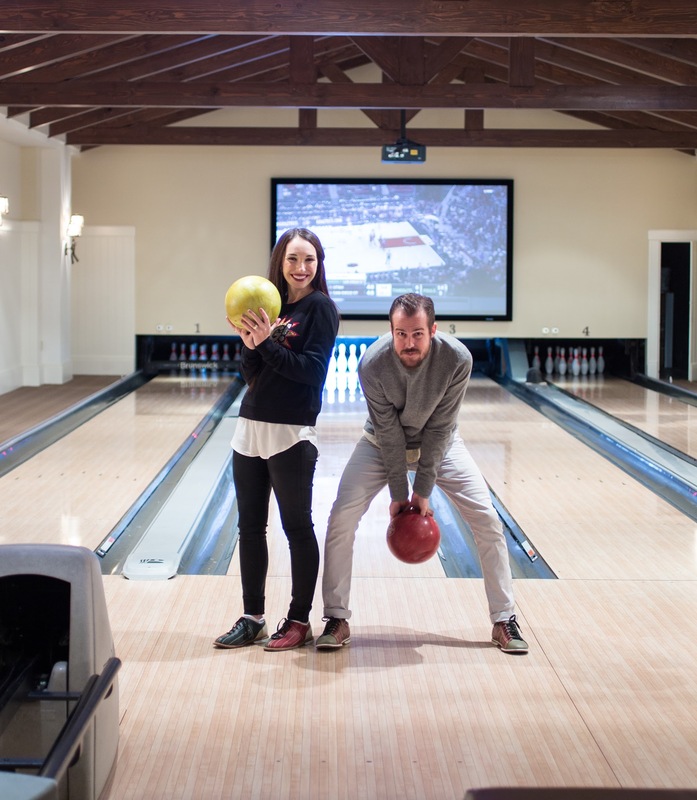 One of my favorite activities Jake and I got to do at the Montage Resort in Deer Valley was go bowling! 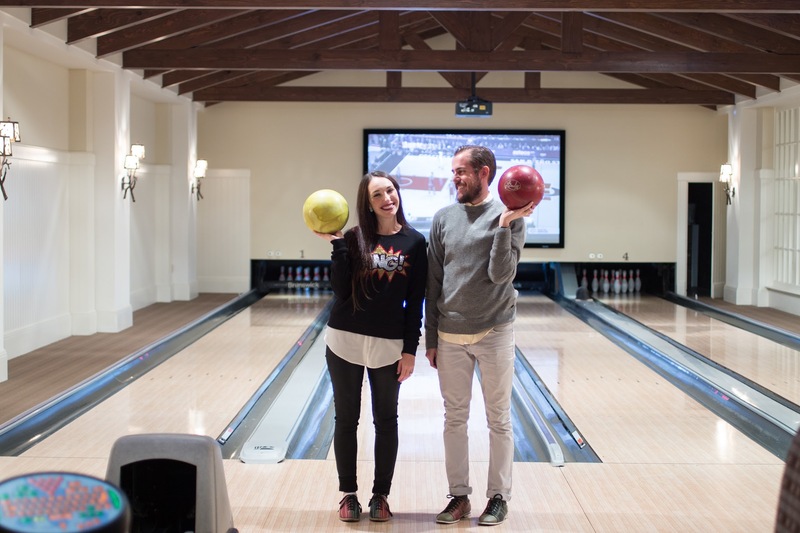 I have never been to a hotel/resort with its own bowling lanes before! I thought it was pretty neat! 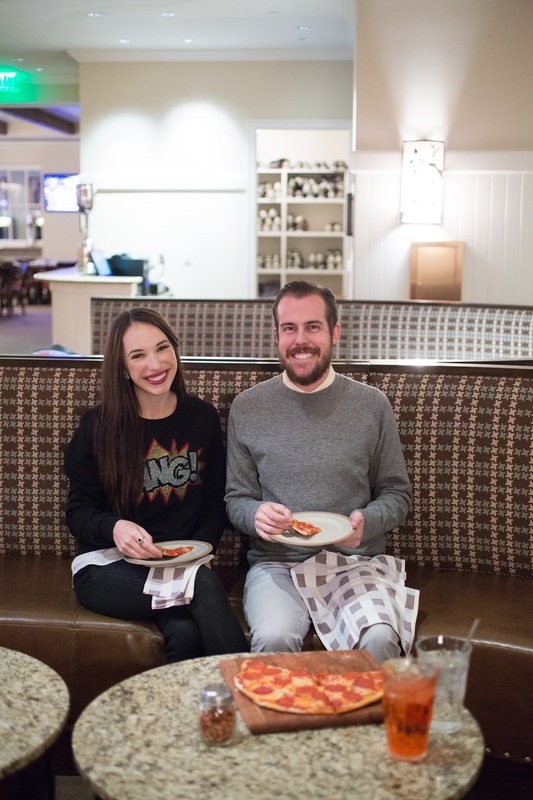 Everything from the design, to the bowling seating, to the white wainscoting on the walls was perfection and made for the perfect bowling atmosphere! 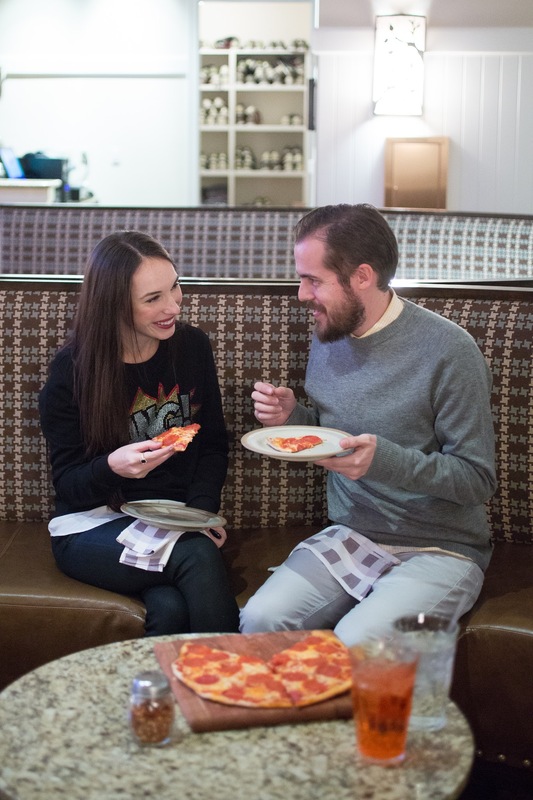 The bowling alley has a darling restaurant right next to it that serves delicious stone fire pizza, and all type of American good eats! 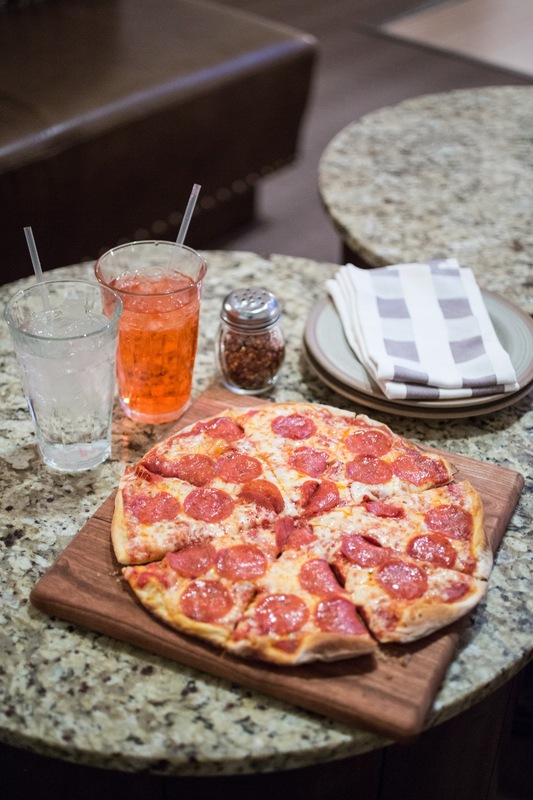 We got a pepperoni pizza and ate the whole thing so quick since it was so tasty! Nothing better than a night of bowling and pizza! How fun! How do you guys stay so slim eating all the yummy food you're always eating? Love your sweater, btw! You both are so adorable! I hope you had such a lovely time bowling! Love your sweater! How fun! I love bowling too but I'm only good for one game. It goes downhill fast after that! Your sweatshirt is adorable! Nice idea… i have quite a long time to go bowling. I know I don't really know you or your man but I'm pretty sure you two are the cutest couple ever! This sounds like so much fun! I'm a horrible bowler too…I get a gutter ball even with the bumpers up. lol. You guys look so adorable in these photos. I haven't gone bowling in such a long time. Wonderful post. Nice pictures as always! I love how Rebel looks on you Kelsey! Now I need pizza! Love love your sweater, Kelsey! A bowling date night, I love it! I haven't been bowling in so long, but if you mix bowling + pizza then it's one heck of a good night! I haven't been bowling in forever, but you both look like you know how to do it right! Cute photos, lovely outfits. That pizza looks tasty!